One Arkansas church is under fire after one of their parishioners was kicked out for being gay. 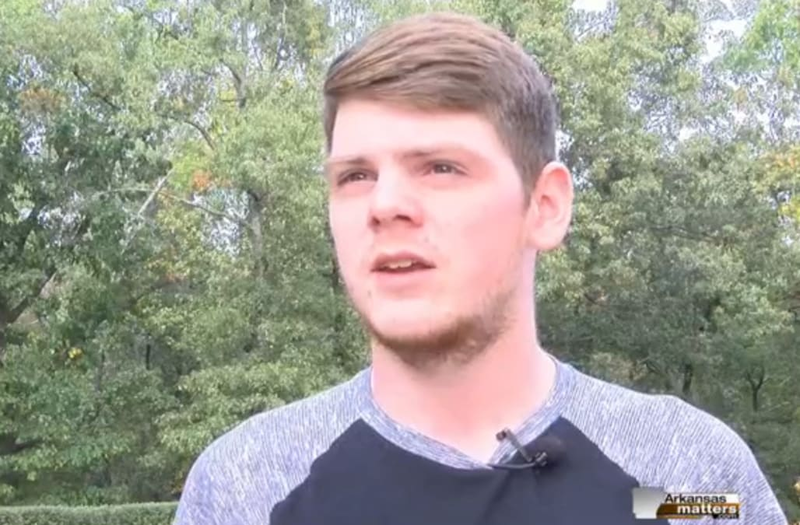 Meet Dylan Settles, a young man from Arkansas who was recently "ousted" from his church for being gay. Settles explains that he received a letter in the mail from his church, and he assumed it was a "we miss you" letter, as he hadn't been to church in a while. Unfortunately, this couldn't be farther from the truth. Woods Chapel General Baptist Church sent Settles, who recently came out to his family, a letter that said his membership had been revoked due to his "sinful lifestyle." "It has come to the attention of the Church body, that you have made it known publicly, of your choice to embrace the homosexual lifestyle. While we understand the struggles we all face with sin in our lives, we must be aware of the consequences of our choices. As a Christian we must choose to serve and obey, in accordance with God's holy word, in order to remain a member in good standing of the Church body. We as the church board here at Woods Chapel General Baptist Church, have with great sorrow, voted to remove your name immediately from the church membership role. It is the desire of your church family, you would turn from the sinful lifestyle you have chosen, repent of the sins you have committed, and return to full fellowship with God and the church body." Of course, Settles was shocked and took to Facebook to vent his frustrations. Since posting the letter this Sunday, it has been shared almost 4,000 times. I just got this letter in the mail from a place I called my home church... u will never see my face in that church again. all because of my sexual life.. PLEASE SHARE. While the letter reads that the church hopes he will repent for his sins and return, Settles told local news station, KARK, that this would definitely never happen. As reported by KARK, Woods Chapel General Baptist Church has no comment.